The Big Boss 9063 is considered one of the pioneers in the reinvention of traditional cooking. The table-top appliance skilfully combines different technologies to deliver satisfactory food results with little or no oil, grease or fat whatsoever. Big Boss uses halogen heat, convection and infrared technology that perfectly blend with the goal of delivering delicious, browned and crispy fried foods. Besides using unique cooking technologies, the fryer comes packed with functional and convenience features to ensures users have a smooth experience whilst preparing meals. Users that are keen to control the amount of oil or fats they take in are sure to appreciate what Big Boss promises to offer. As earlier mentioned, the Big Boss combines three techniques in its cooking, halogen heat, convection and infrared technology. Halogen heat ensures that the surface of the food being prepared is directly heated in order to achieve the browning effect. The Convections is responsible for circulating hot air within the fryer to ensure even cooking. The third power comes from the infrared heat which makes sure that the food is cooked from the inside out. The result is a tender gentle texture for your meals. Combining these three powers sees to eat that cooking time is considerably reduced so that you spend less time preparing foods and more time enjoying them. 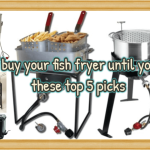 Many buyers are used to fryers with steel/ metal frames with some plastic parts with a typical finish of black, white or stainless. However, Big Boss dares to break this norm and comes in with a completely new concept that gives the fryer a modern and sophisticated look. 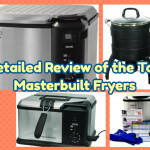 What stands out from the fryer’s design is the glass dome that lets you watch the cooking process. 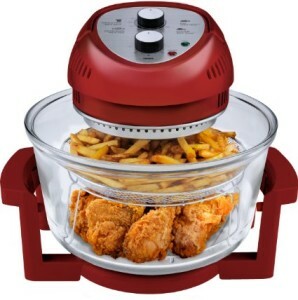 The clear dome is a big plus for the air fryer as it addresses the concern of users regarding high heat and fast power that may lead to overcooking. Make sure the fryer is unplugged from power source and has completely cooled before cleaning. The cooking racks and glass bowl can be safely cleaned in the dishwasher. Other parts including the extender ring, plastic base, mesh basket, sprayer and tongs are easily washed by hand. Make sure not to soak the racks in water for long and always dry them with a paper towel or cloth. The combination of three cooking technologies not only cuts down on cooking time but also makes the air fryer energy efficient. Big Boss 9063 only requires 1300 watts of power up all the cooking technology. Additionally, its ability to easily get up to 460 degrees Fahrenheit also contributes to its efficiency. 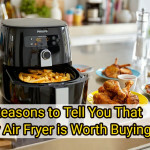 Users therefore need not worry about high power bills and can enjoy the delicacies prepared by the fryer as often as they wish. Big Boss does a great job tackling different types of food. While the name fryer suggests it is mainly for use in frying foods, it can also be used to roast, bake, broil, grill, toast and steam. 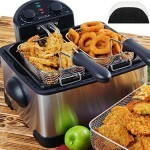 The Oil-less fryer can be used to prepare anything from vegetables to whole turkey all without need to defrost or pre-heat beforehand. Even more exciting is the fact that you can prepare your own healthy snacks and desserts with the Big Boss which can also function as a dehydrator. 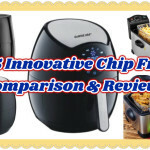 Cooking enthusiasts looking for a feature-packed cooking appliance need to search no more as this fryer offers both the needed performance and functionality. 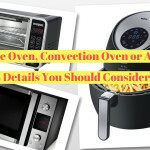 The appliance features a set of two dial knobs at the top that allow the user to set the desired temperature up to nearly 500 degrees Fahrenheit, as well as set the correct frying time. This way you do not have to monitor your food throughout cooking all worry about cooking or under cooking your food. 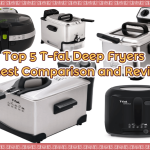 While the fryer is decently-sized, the creators have taken an extra step to ensure that most basic food types can comfortably fit in. 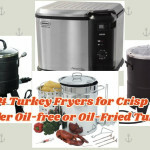 To increase the fryer’s capacity is an extender ring that allows you cooks up to 15 pounds of turkey. Moreover, in case you choose to use some oil with Oil-less fryer, a sprayer is included to make the task easier. Cooks foods very fast ensuring you spend less time preparing it and more time enjoying it. 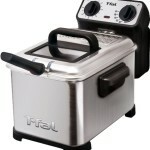 Offers a healthy alternative to preparing fried foods as it uses little or no oil. Delivers quality results with the foods turning out brown and crispy. Big Boss can be used to cook frozen foods without the need to thaw them first. It works perfectly out of the box without need for assembly or additional accessories. The combination of three cooking technologies makes the appliance versatile and efficient at its functions. The fryer comes in a variety of colors to suit different style preferences. It’s considerably sized to prepare meals for a small family at a go. The size of this fryer is bigger than the normal fryer. 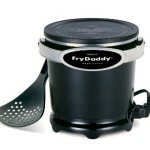 The fryer is difficult to move around and store due to its bulky size. Big Boss emits a lot of heat while in use and this could be uncomfortable in warm climates or squeezed homes. The glass surface heats up very fast and there is no protective handle thus there is the danger of burning. Buyers of the Big Boss 9063 fryer feel that it offers good value for money. The appliance offers the basics of a fryer such as healthy great-tasting food, easy operation and maintenance, durability and safety, which is what is really needed. In addition, it offers outstanding performance and gives users the freedom to choose different cooking styles other besides frying. Although it has some minor setbacks, the innovation displayed in the product has users rank it highly among other competing products. Big Boss is particularly favoured by health enthusiasts and individuals looking for performance without having to sacrifice on energy efficiency. 1. Does it fry fresh fish? 2. Is this large enough to cook a full size turkey? No, don’t cook full turkey in this fryer. 3. What is the voltage, 110 or 220 volts? 4. Can you make doughnuts in this? It has a 16 quart capacity. 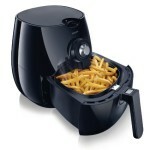 A major thumbs to the Big Boss fryer. It is a commendable product whose advantages greatly outweigh its drawbacks therefore making it quite satisfying. The fryer delivers on most of its promises and this is without digging so deep into its consumers’ pockets. It is well built, has an interesting modern design and offers durability and efficiency to its users. Check Latest Price on Amazon Now! 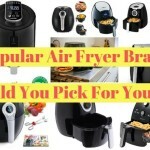 13 Popular Air Fryer Brands: Which Should You Pick For Your Lifestyle? Copyright © 2016 topfryer.com Rights Reserved.